Highest quality pure frankincense resin available by the ounce. 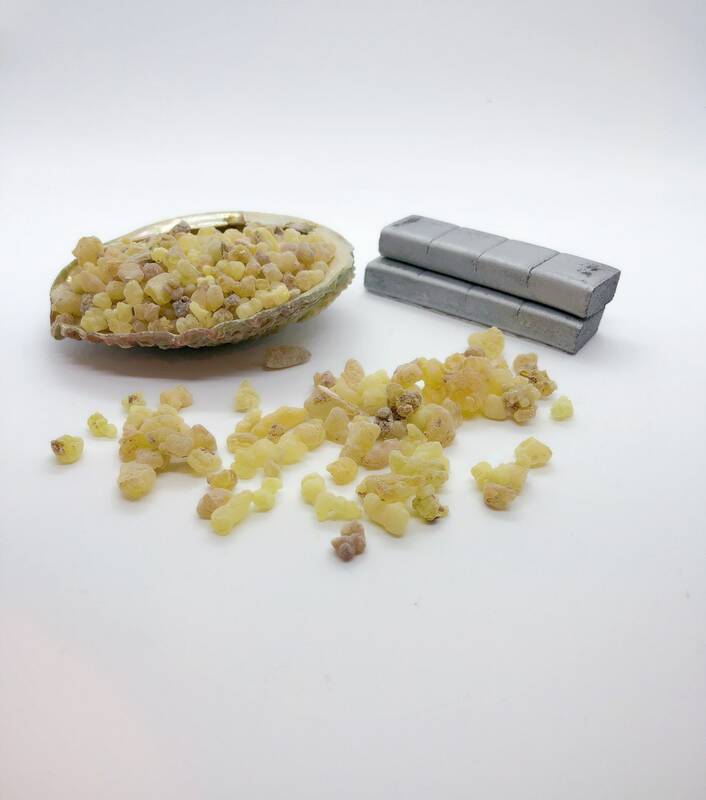 **You will receive a 1oz bag of frankincense resin pieces. **If you choose the kit option you will also receive 8 clean burning chemical free charcoal briquettes. To use frankincense resin you will need to light the charcoal briquette so it is completely hot. I use a needle nose pliers to hold the briquette and light it by an open window or outside. These briquettes do not contain any gun powder or artificial lighting agents so it does take about a full minute in the flame to fully ignite. Once hot all the way through place on a heat resistant dish. Then place small pieces of the resin onto the charcoal briquette. 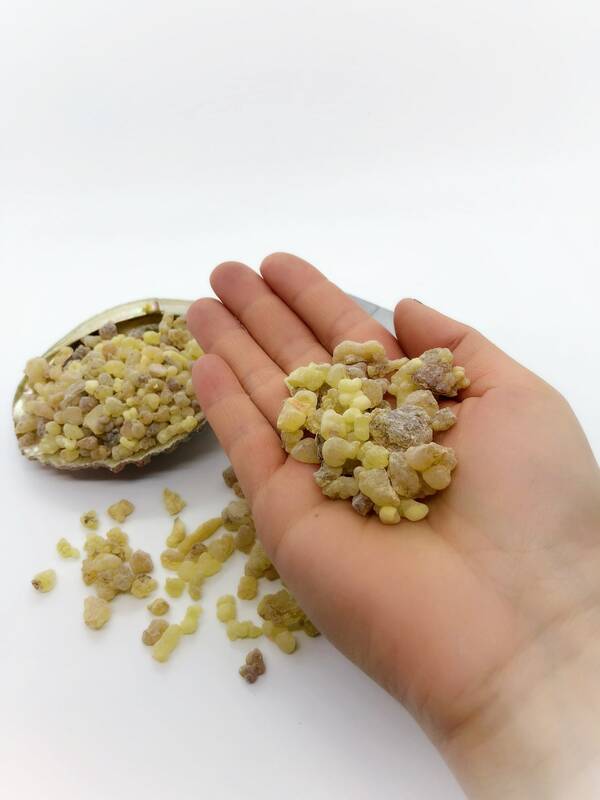 The resin will slowly burn and omit the wonderful aroma of frankincense. Each charcoal briquette will stay hot for around 20-30 mins. It doesn’t take much resin to fill your space with the lasting aroma. Love the smell of this resin! The briquettes take a couple minutes to warm, as indicated in the item description, but it's worth the effort. Thank you so much! Very happy with purchase (and the extra "goodie" too!) I will definitely return to this store!